OH - my kind of dumpster diving! Love these totes full of color and fun! My kind of play - dump it and sew!! You are definitely Scrap Wealthy! Lately when I am working on a project and creating new scraps, I put them aside on my cutting board in a pile, and before I turn off the workroom light for the day, I use my rotary cutter and cut them into 2 1/2 inch squares. My scrap basket is overflowing, even though I recently went through it and cut long strips, so I had to do something! Silly me, when you said "plastic bin" of scraps I imagined the type of plastic bin I have (a shoebox sized). You have a REAL bin there, no wonder you're not done! Can't wait to see your 2.5 inch (postage stamp) quilt. Isn't it amazing how this scraps accumulate. One trick I use (part of the time) is to iron the scraps and stack them neatly. They are way easier to use. 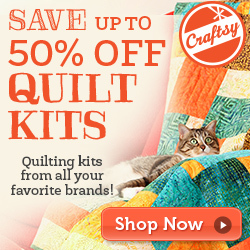 Oooh i love the thought of a quilting fairy! Amazing how those scraps add up so fast, isn't it? I never manage to keep up with mine, and I'm using them all the time! I know you'll make some wonderful projects with those squares and strips. Loved the Twisty one, too. I used to just throw all my scraps into a bin too, but now I keep them all in a bag until a project is complete and then I cut them up then. I am still relatively new to separating them by size instead of color. Bonnie of Quiltville has tons of projects one can do with scraps, she calls it her scrap user system, lol. I think you both are doing great!